Kevin & Sully sat down with Vigilant Fire Training CEO Todd Smith. Todd is a seasoned Lieutenant with over 25 years of experience in the fire service. 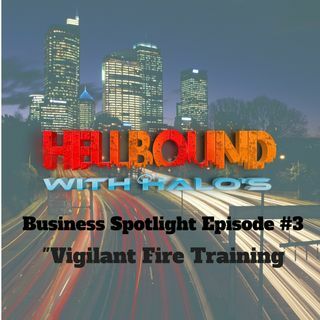 He created his company to give firefighters and fire departments an option when it comes to creating a custom training outline for fire departments. These training outlines relieve some of the stress that comes with creating, implementing and documenting training. Todd says, "Our primary goal at Vigilant is to provide your agency ... Más informaciones training officer with the necessary tools to produce firefighters who are trained to mitigate any given emergency in an effective, efficient and safe manner." At Vigilant we understand the hard work and the dedication it requires to create and maintain a great fire service training program. We also understand that today's environment requires more time and effort of the training officer than ever before. We understand, because this is exactly what our staff has done for the past 20 plus years. Our goal at Vigilant is to allow the training officer to focus on the delivery of training, rather than focusing their time and effort trying to meet ever changing requirements. We truly want every fire department in the nation to have a successful training program that creates a learning environment that is both enthusiastic and exciting. In our eyes a great training program is one that sparks passion, self motivates and creates an atmosphere where one is eager to learn and committed to continuing education. We understand that a great training program does not happen by accident. It requires hours of research, planning and development long before the execution process can take place. Furthermore, great training programs need to be based on proven methodology, strong curriculum and a principled evaluation process. Developing training programs of this caliber can be a daunting, time consuming task. Vigilant has the solution for your training needs. We have the tools and the knowledge necessary to build and create a successful training program. From complete custom training programs and annual training plans to individual lesson plans and presentations we have you covered. We pride ourselves on having the most up to date and current knowledge in fire service training. We are constantly developing new products and services to better serve you and your department.